Discover the healing properties of crystals and take home a selection of crystals that are most powerful for you. Crystals are more then just pretty things the earth creates, they contain useful energy available to us. They are a powerful ally for grounding, self care and intention setting. We’ll discuss the energetic properties of a variety of crystals, how to cleanse, charge and use them with the chakras. 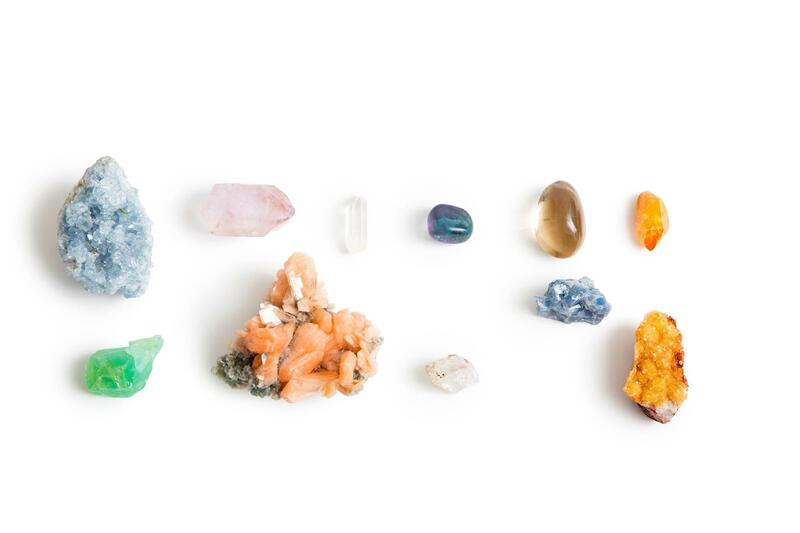 After a chakra meditation, each participant will get to create their own crystal kit for the chakras to take home. These crystals can be used in meditation, placed by your bed, carried in your pocket, however you personally feel called to work with them. It can be overwhelming knowing where to begin with crystals so the hope is to dispel some of the myths, and empower you to select the best crystal allies for you. Some of the crystals provided will be red jasper, lapis, pyrite, chrysocolla, orange calcite and more so people can find what works best for them. Please bring a notebook and pen, and your crystal excitement.